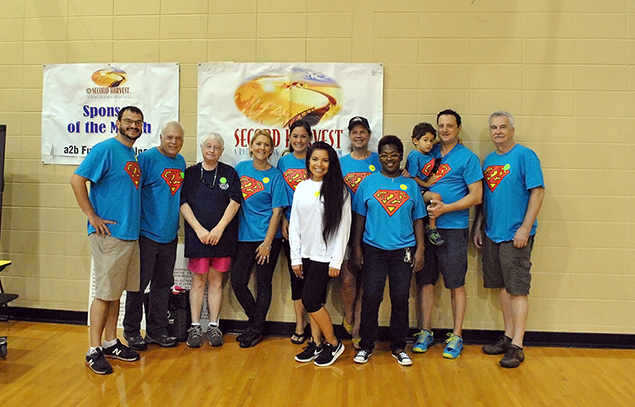 On August 20th, a2b Fulfillment sponsored The Second Harvest Food Distribution in Greensboro, Ga. Held every third Saturday of the month at Greene County High School, the event distributes food to needy families within Greene County, Georgia. Several a2b employees donated their time to assist in last Saturday’s effort, which distributed over 8,500 pounds of dry groceries (boxes and cans) plus over 5,000 pounds of fresh produce to 237 families representing 633 people. a2b Fulfillment has long been a supporter of the Second Harvest program with several employees donating their time each month to help the cause. The food distribution is a signature project of the Rotary Club of Greene and Putnam Counties with a mission to eliminate hunger. Food for the program is obtained through leveraging cash donations, rescuing excess food from the local Ritz-Carlton Hotel and Publix Super Market, and through an accredited partnership with Golden Harvest, a food distribution agency of the Feeding America program.